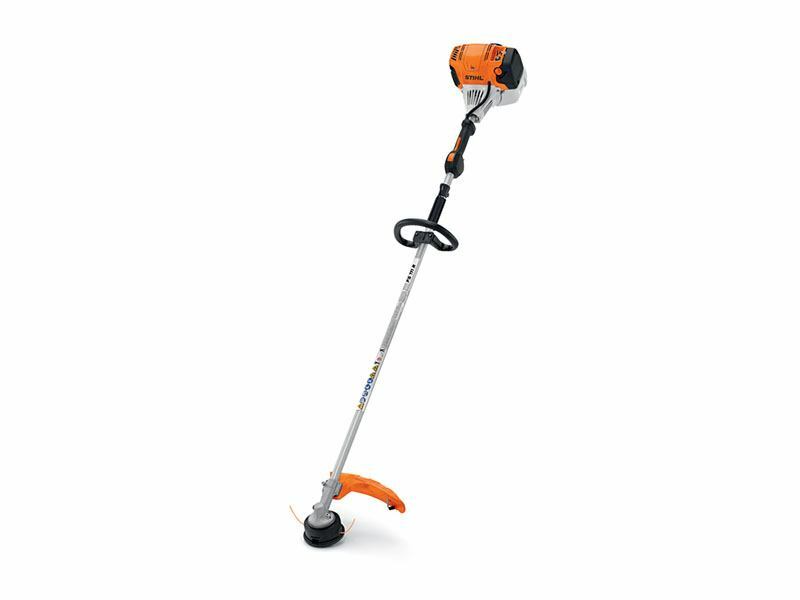 When you need more power to cut through your landscaping tasks, the STIHL FS 111 R trimmer has the extra muscle you’re looking for. Its low exhaust emission engine is powerful and provides 30% longer run times than the previous model. This professional trimmer features a three-step start procedure that saves users time, and a vertical pleated paper air filter for extended service intervals. It also features a rubberized loop handle, providing a comfortable grip of product for users to work with ease while cutting through thick and thin. START/RUN/STOP CONTROLS ON HANDLE: THROTTLE TRIGGER INTERLOCK Must be depressed before the trigger can be activated. 12.1 lb. (5.5 kg) - Without deflector and cutting attachment.